Spinal fusion for spondylolisthesis is the most common curative treatment option and the only way to reverse most cases of atypical vertebral migration. Spinal fusion, also called spondylodesis in medical circles, is a very versatile procedure in that it can be used to treat a wide range of diagnoses and conditions. The operation is highly customizable and can include many case-specific options, making it an ideal fit for a diversity of patient needs. Reading the introductory paragraph to this essay, one gets the impression that spinal fusion is a wonderful therapeutic modality. This could not be further from the truth. Fusion is inherently bad for the spine and demonstrates very significant risk factors and a high rate of complications. However, since fusion is the only type of surgery that can successfully address some spinal issues, including most forms of listhesis, the negative aspects of treatment will have to be endured in order to benefit from the positive characteristics of spondylodesis surgery. This objective essay takes a very detailed look at the utilization of spinal fusion in the treatment of vertebral listhesis. We will certainly examine the potential benefits to be gained from fusion, but will also investigate the many risks inherent to the technique. If you are considering spondylodesis surgery to correct your spondylolisthesis, this article is a must read prior to making up your mind. Spinal fusion is a very invasive operation and will permanent end movement of treated vertebral levels (if all goes well and heals well, that is). Therefore, the operation should be, and usually is, reserved for the worst cases of vertebral listhesis, typically of high grade 3 or grade 4 classifications. Fusion is not indicated for most grade 1 or 2 conditions, although it is occasionally used in cases where the patient desires surgery, regardless of the objective need or indication, particularly in cases of recent acute trauma-induced listhesis. We also see examples of fusion being used on patients due to financial motivations of the care provider. Sometimes, the listhesis condition will be unfairly implicated as the source of pain and a purposeful nocebo effect inflicted in order to gain patient compliance with a surgical recommendation. This type of care should be illegal, but is unfortunately rarely investigated. Spondylodesis is indicated for severely unstable or severe symptomatic versions of high grade listhesis, where the surgeon feels that the operation will provide benefit more than potential harm. This is a very subjective determination, but quality surgeons will usually err on the side of caution and withhold fusion unless no other treatment option is available. Less ethical and greedy caregivers might not exercise such exemplary judgment, so as always, patients are strongly advised to seek multiple diagnostic and treatment opinions and always be wary of the monetary motivations of some doctors. When successfully applied, spinal fusion can resolve listhesis completely, bringing the affected vertebral bone back into perfect, or near perfect, alignment with the remainder of the spinal column. This should relieve pressure on the spinal cord or spinal nerves, resolve mechanical dysfunction in the facet joints and generally improve the clinical appearance and functionality of the backbone. However, in cases where listhesis has existed for a long time, fusion might actually make matters worse, since changes have already been enacted in the spine to compensate for the vertebral slippage. These changes can usually be undone surgically, but this involves ever-more invasive methods of care and collateral tissue damage. Some doctors prefer to use fusion almost immediately in cases of acute traumatic listhesis, regardless of grade. This way, they can restore the vertebral bone to its ideal location before any changes occur in the surrounding spinal anatomy to accommodate the injury. This remains a controversial decision and is a topic of much debate in the greater orthopedic community. It is clear that the use of early fusion can prevent potentially pathological changes to the spinal facet joints and other tissues in some patients, but how to identify which patients will truly benefit, despite the downsides of surgery, remains a subject of scrutiny. Most fusions for listhesis are small (single or double level), encompassing 2 to 3 vertebral bones, depending on the location of the fusion and the circumstances of the case profile. Smaller fusions are generally better tolerated by the patient and the spine, since they tend to minimize the collateral effects of individual vertebral bone movement restriction. Larger fusions might be required for highly specific forms of listhesis, including those which also include other pathological conditions that require treatment, as well (widespread central stenosis treated via laminectomy is a good example) or conditions where multiple adjacent or nearby vertebral bones have migrated together, usually due to traumatic injury. When successful, fusion can stabilize the spine and relieve symptoms. For severe listhesis conditions, fusion is often combined with other forms of spondylolisthesis surgery, including laminectomy, foraminotomy and discectomy techniques, but can occasionally also involve corpectomy. The surgery is long and very invasive. Massive blood loss is common and patients will have to endure long periods of anesthetization. Many fusions do “not take”. This means that the bones refuse to fuse. 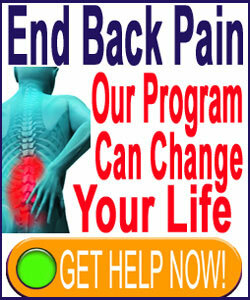 This can cause major complications and chronic pain. The usual response is follow-up surgery to correct the issue, typically with larger and more invasive fusion attempts. Some listhesis fusions will slip once again, often ending up worse than before the initial surgery. Many patients have negative reactions to cadaver or synthetic bone substitutes, requiring removal of the substances and negating all the potential benefits of the fusion or requiring re-operation with self-donated bone material that must be harvested via an additional surgical procedure. Many fusions involve placement of reinforcing hardware. This hardware is known for a high rate of complications and failure, often requiring additional surgeries for removal and replacement. Of all surgical techniques, fusion is one of the highest rated in terms of risk to the central nervous system components, as well as the one which demonstrates the most chance for severe postoperative pain that might endure for many years. Even when everything goes well and no true complications occur, fusion can be very troublesome in patients with a long history of listhesis. In these cases, the spine has remodeled itself to accommodate the vertebral migration and forcing it back into a typical shape is traumatic, injurious and functionally-affective, further making the choice of fusion very controversial in even high grade patients. In fact, the worse the clinical classification of the listhesis condition is, the greater the chance of suffering negative mechanical impairments when fusion resolves spondylolisthesis. 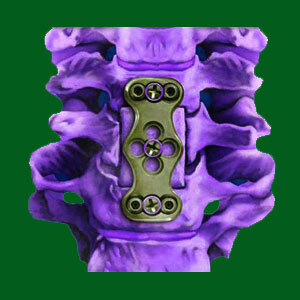 We have written many essays on the pros and cons of spinal fusion throughout all the sites of The Cure Back Pain Network. We highly recommend reading more of these to further your knowledge of this treatment option before considering undergoing the procedure yourself. You can use our search function to find all of the relevant articles by searching “spinal fusion”.